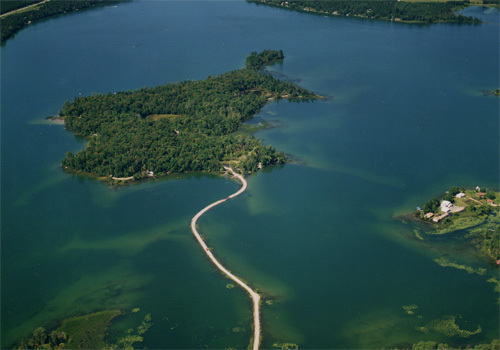 Campers’ Paradise is located approximately 200 miles northwest of Minneapolis and St. Paul and 100 miles east of Fargo. It’s situated outside of Nevis, about 11 miles east of Park Rapids and 17 miles west of Walker on Hwy. 34. From Nevis, take County Road 18 west three miles, then turn left at our red-and-white sign, which is 239th Ave./Township Rd. 8. Turn right on 200th St./Township Rd. 17, then left at our sign onto Edgewater Drive/Campers’ Paradise Rd. Continue along Edgewater to our causeway, which is a single lane, so please wait for vehicles already on the causeway.